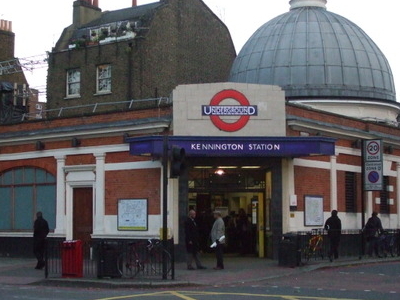 Kennington tube station is a London Underground station on Kennington Park Road in Kennington on both the Charing Cross and Bank branches of the Northern line. It is within the London Borough of Southwark, although most of the district of Kennington is within the London Borough of Lambeth. Its neighbours to the north are Waterloo on the Charing Cross branch and Elephant & Castle on the Bank branch; the next station to the south is Oval. The station is in Travelcard Zone 2. (Journeys from National Rail stations to Kennington and Oval via Waterloo are priced as if these destinations were in Travelcard Zone 1; the add-on amounts are called substandard fares by NR). 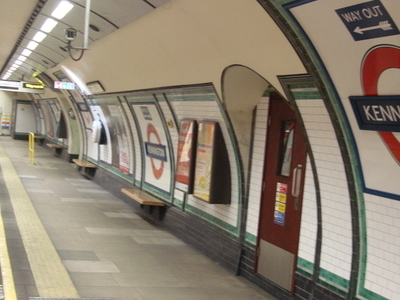 Here's the our members favorite photos of "Metro Stations near London Borough of Southwark". 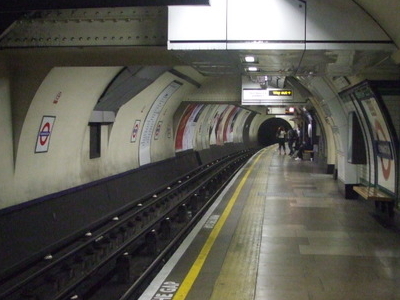 Upload your photo of Kennington Tube Station!